Hey everyone! So today I thought I’d take part in a tag. Now although I haven’t actually been tagged to do this, I watched JadeyRaeReads video (which you can watch here) and she tagged anyone who wanted to do it. So this is what brings us here today. I’m going to go with The Selection by Kiera Cass for this one. The whole series has been hyped for as long as I can remember but I just have no interest in reading it. Don’t really have a clue what it’s about but I also have no interest in finding out what it’s about. This is an easy one, it’s got to be the Dorothy Must Die series by Danielle Paige. Will I ever get to it? I attempted to read the first book a few years ago and I don’t even think I made it a quarter of the way through. I just couldn’t get into it at all! So many people have told me ‘oh my god no, you have to try again’ but right now I just don’t have time for that. Straight away this goes to The Great Gatsby by F. Scott Fitzgerald. I feel like there’s been so much hype around it, especially since the movie was released and it’s just never interested me one bit. Don’t get me wrong, there’s plenty of classics I’m not interested in reading but this one was the first one I thought of for this tag. Does poetry count for this? I’m not sure but that’s what we’re gonna choose for this one. Never been a big fan of poetry, probably never will be. We obviously had to study it in school and there were like 2 I enjoyed but other than that I just don’t enjoy it. 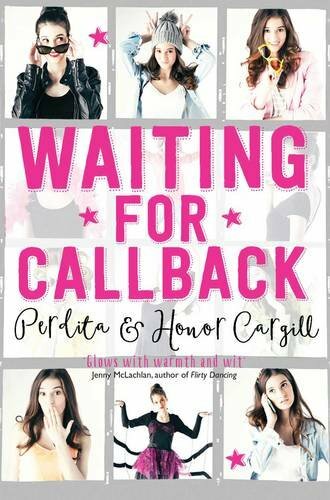 This is a tough one because I’d like to hope I’d read all books on my shelf however, I’m going to choose Waiting For Callback by Perdita and Honor Cargill. This book has been on my shelf for absolutely ages now and I just have no interest in picking it up anytime soon sadly. Are there any books you’ll probably never read? Let me know in the comments! I’ve read The Great Gatsby. I wasn’t overly impressed. It was okay. Maybe I was too young to really “get” it. I read poetry, but I probably wouldn’t read the other books on your list. 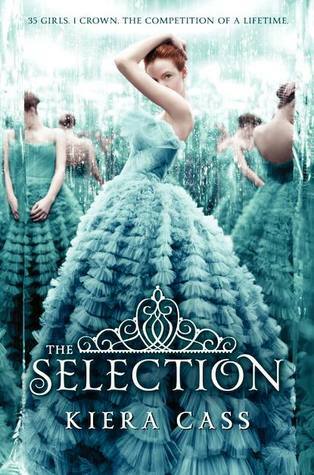 I read The Selection series when I was younger and enjoyed it, but I absolutely think if I read it now, I would hate it. It’s funny how easy it is to outgrow books! I’m definitely never going to finish the Red Queen series. I tried and tried with it, but it was just too formulaic for me in the end! It makes me sad that we outgrow books that we used to enjoy but I guess it’s all part of growing up! I still need to finish the Red Queen series, I think at this point it’s just so I can be like “okay, it’s done and over with, I don’t have to touch it again” haha! There’s actually been a few people I’ve seen recently say that they enjoyed it but would probably not recommend it to anyone haha! But I 100% agree with poetry, I just cannot get into it! It’s just so faced paced and addictive! I tried The Princess Saves Herself in This One at the start of 2018 and it just cemented the idea too. Poetry is just for a certain type of person that I am not!